There are various nicknames and mottos associated with Phoenix and Arizona. Here are some that you might have heard, and an interpretation of them. The Greater Phoenix area is referred to as the Valley of the Sun, mostly in tourism marketing materials. 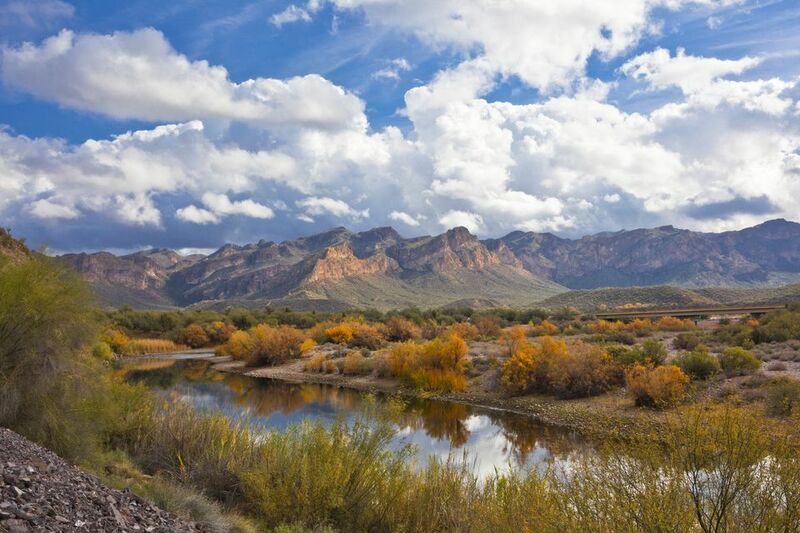 No one would deny that it is descriptive, as the Sonoran Desert, where Phoenix is located, is a very sunny place with little rainfall during the year, and the cities and towns of the Phoenix area actually are in a valley, the Salt River Valley. Phoenix typically gets between 4 and 12 inches of rain per year, with the average at about 8 inches per year. The U.S average is about 36 inches per year. Elsewhere in Arizona, you'll find plenty of places that get more than 20 inches of rain per year, typically at higher elevations. There are four deserts in Arizona: Mohave (Lake Havasu City, for example), Great Basin Desert (Grand Canyon, for example), Chihuahuan Desert (a tiny part of southeastern AZ), and the Sonoran Desert (Phoenix and Scottsdale, for example). The moniker "Valley of the Sun" is appropriate in the sense that Greater Phoenix experiences nearly 300 days per year of either totally sunny or partly sunny days. Valley of the Sun certainly sounds more attractive than Valley of the Excruciating Heat! Let's explore more Arizona mottos, official, and otherwise. Because of it's proximity to that state, some people believe that the Grand Canyon is in Nevada. It isn't. The Grand Canyon is Arizona's most famous natural feature, recognized as one of the seven natural wonders of the world and less than four hours drive from Phoenix. Millions of people visit it each year. The nickname Grand Canyon State is the one you'll see on Arizona license plates. It is not included in the state seal, but it is prominently displayed on the Arizona State Quarter. The Copper State was a popular nickname for Arizona because of its rich mining history. Copper is still very important in Arizona. According to the Arizona Mining Association, Arizona produces more than 65% of U.S. copper (2011). The Arizona State gemstone is turquoise. Arizona was declared a state on February 14, 1912. So, on Valentine's Day, we also celebrate Statehood Day. What Are the 5 Cs? Every kid who went to school a couple of decades ago learned about Arizona's 5 Cs as the backbone of the state economy: copper, cattle, cotton, citrus, and climate. It isn't that those aren't important to Arizona anymore. It's just that other important industries evolved in technology and tourism. The majority of Arizonans would not be able to tell you what the state motto is, but it is Ditat Deus. It appears on the Great Seal of the State of Arizona and means God Enriches. There are certain phrases that people who live in the Phoenix area hear all the time. If you say these to a resident, hopefully, you'll just get a smile and a nod of the head. It's a dry heat. Why do people say that? It isn't that it isn't true, it's just that residents hear it all the time, even when it is 115°F. Dry or not, that's really hot. You don't have to shovel sunshine. Yes, this one is true also. Your friends and family who live in the northern and eastern U.S. don't really want to hear it every winter. What Is the Proper Attire for a Summer Funeral?